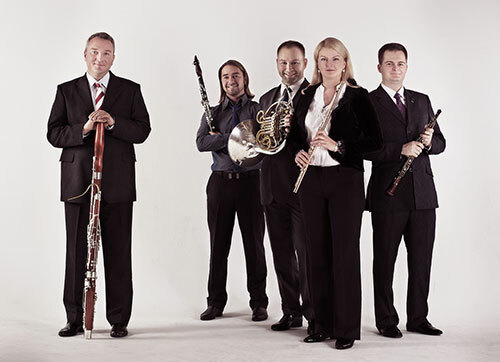 Russian Wind Soloists is a brilliantly performing chamber ensemble, combining the colourful sounding and supreme mastery with excellent interpretations and wide repertoire range. Traditionally, chamber ensembles set on the basis of the best world orchestras are subsidiary chamber groups with their own concert and touring activities, which increase their orchestra’s glory and fame. National Philharmonic Orchestra of Russia has several chamber groups, performing as a steady set of musicians, very well representing their teamwork in playing. 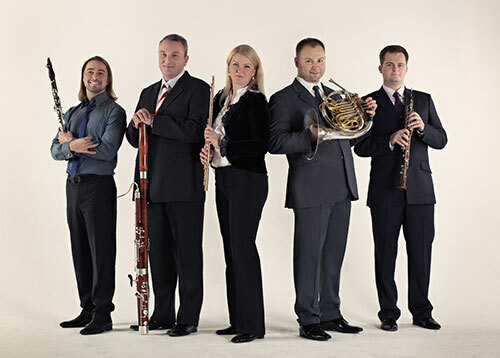 One of these groups is Russian Wind Soloists — woodwind quintet, which performs both original woodwind quintet compositions and numerous transcriptions. The ensemble founder and musical director is Stanislav Katenin (National Philharmonic Orchestra of Russia bassoons’ group concertmaster), the other soloists are Svetlana Mitriaykina (flute), Andrei Mikhailovsky (clarinet), Maxim Orekhov (oboe), Stanislav Davydov (French horn). Russian Wind Soloists successfully perform works of different styles and epochs. Their repertoire includes works of Western European and Russian composers. Among the achievements of the group is performance of Mozart’s, Beethoven’s, Rimsky-Korsakov’s, Poulenc’s piano quintets and sextets. Each woodwind soloist is the one and only member of a large symphony orchestra. Russian Wind Soloists in concerts allow listeners to hear and evaluate their versatility and exquisite performance, as well as professionalism and virtuoso talents.